Local footpaths start right outside the door and lead you through beautiful countryside to the rivers Ouse and Uck. The South Downs, Britain's newest National Park is just on the doorstep and features a truly varied set of landscapes from wild coastal areas such as Birling Gap and Seven Sisters, to the Dyke Valley and Ditchling Beacon further inland. 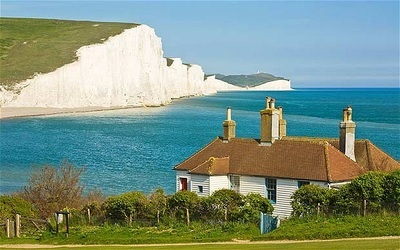 The South Downs Way provides endlessly varied rides and walks and can be accessed at various points all close by. Just 15 minutes drive away, you will find the Ashdown Forest with spectacular views over the heart of the High Weald and a huge variety of wildlife enjoying its 6,500 acre rare habitat. Nestling in the South Downs National Park and just 10 minutes drive away, you will find the county town of Lewes, presided over by its Norman Keep, its streets and buildings echoing 1,000 years of history. Here, you can wander through an eclectic mix of antique shops, independent stores and lively markets - it even has its own currency! 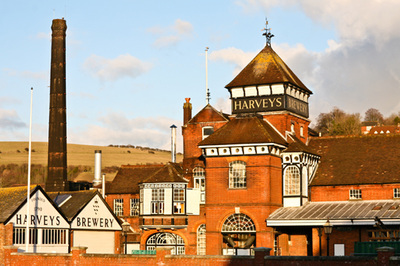 The local Harveys Brewery is a landmark in the heart of the town. In November, Lewes lights up with the country's largest and most spectacular Bonfire Night celebrations. Brighton (20 mins drive), with its famous Regency Pavilion and traditional pier, offers a cosmopolitan range of shops in the Lanes as well as a wide variety of lively evening entertainment with restaurants, theatres and concert venues. Both the elegant Georgian spa town of Royal Tunbridge Wells and the sunny seaside resort of Eastbourne are just 30 minutes drive away. Many famous gardens are all within half an hour's drive - Sheffield Park, Borde Hill, Wakehurst Place and Groombridge Estate. And further afield - Great Dixter, Sissinghurst, and Nymans. You'll also find many historic houses close by - Charleston Farmhouse home to Vanessa Bell and Duncan Grant and Monk's House, home to Virginia Woolf. Rudyard Kipling's home, Bateman's, as well as Bodiam Castle, Hever Castle and Standen are all worth a visit. For opera lovers, Glyndebourne is just 6 miles from Isfield in the village of Glynde which also hosts the outstanding annual Jazz festival, Love Supreme. Golf enthusiasts have the choice of two championship golf courses, just 5 minutes away - the largest being the East Sussex National. Or you could learn to paraglide at Fly Sussex, the Uk's largest award winning paragliding school, just outside Lewes.